﻿ Book Your Trip today! South Carolina has great year round fishing. Whether you are looking to chase the abundant Striped Bass in Lake Hartwell or a Trophy Trout on Lake Jocassee, charter your trip today. 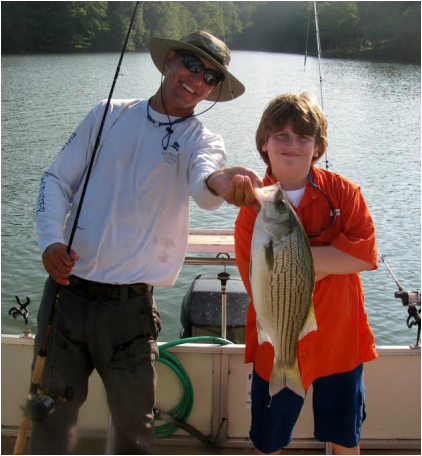 Quote from the Capt, "Take your son or daughter fishing on Lake Hartwell or Lake Jocassee! It will make a memory that they well always have for the rest of there life. Some of my most memorable times in my life have been fishing with my dad. I would like share that experience that I had with other people. I also love to have new anglers on the boat. There is something special to see someone new to fishing tie in to there first fish. Give me a Call... ASK for Capt. Steve!" Already booked your trip? Here's a checklist to help make sure your day is perfect. 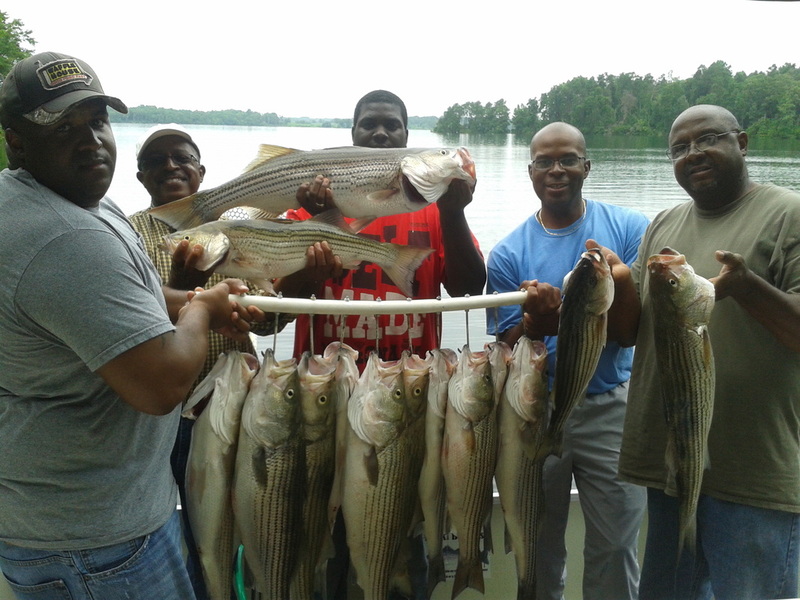 Fishing lake Hartwell is a great choice for just about anyone who enjoys to fish. Lake Hartwell is a great fishery, offering my charters a lot of action. I take a lot of avid fisherman that say they feel that they are fishing out in the Ocean because they are catching so many fish. Hartwell is also a great choice for the family or even for a Corporate outing. I can arrange Multiple fishing boats with large groups. 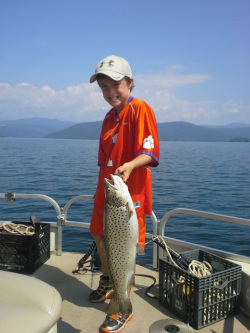 Lake Jocassee is the only Major Lake in South Carolina that has an abundant Trout Population! Capt. Steve Offers both Day and Night Guided fishing on Jocassee. Day time fishing Charters on Lake Jocassee typically are trolling with downriggers. Jocassee is a very deep clear lake and downriggers are used to get to the depths that the Large Jocassee trout live in. Night fishing for trout can be a great way for the night owls to catch there Jocassee trout. Here Capt. Steve uses Sodium lights to draw the trout in from the depths creating what he says is the food chain. It is quite the sight to see all the bait fish (blue back herring) that come up in the lights on some nights. It looks like you are in an aquarium.